2. Should the flaps be White or Black with the color logo? 3. How many pair would would you order if they were available? This is the logo I'm talking about...The flaps would be left & right and sold as a pair. I just hope I can get good news for you guys! My first call today was shot down pretty quick...but I got a few more names to go to at Koneta! Barry, I will look through my notes to reference the point of contact I used. "She" was very friendly, knowlegable of my inquiry, and interested in helping. There was no way she could get past the minimum order thing due to costs for setup as the original patterns no longer existed. Well, Koneta pretty much shot me down! They don't want to touch this project. 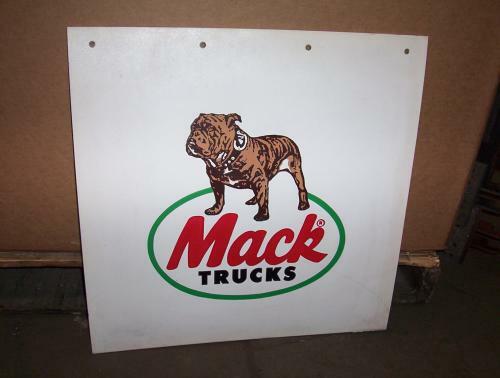 But I did contact Symplastics (another original Mack vendor) and they are looking into it. I actually have one of their old flaps and it looks pretty cool...what do you guys think? They would pobally have to be white plastic as pictured, but I may still be able to do black plastic and/or rubber...Let me know what you think and I'll keep you posted. We haven't had a good turn out on interested people...I would have to place a 1500 piece order but I only got 10 people on the list... I'm still trying to drum up some pre-orders. Better put me down for at least 3 sets of 36 in. They have multiple color options and no minimal order. The only problem is they are printed and not moulded. Might be a decent alternative. 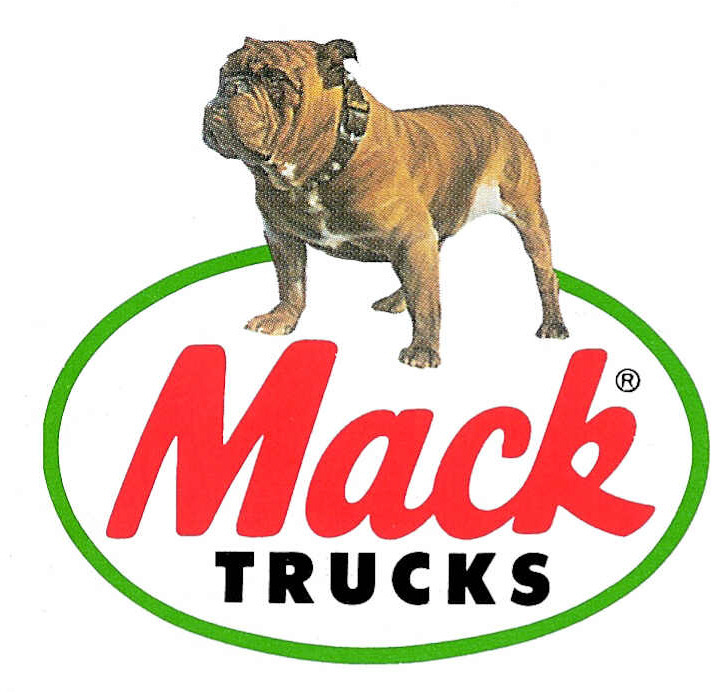 MACK flaps from my local dealer are easier to clean and over time hold up much better. There is a place in Toronto , Ontario , Canada that does DIGITAL IMAGING for mud flaps , no min order for under $15.00 per mud flap , the flaps are the new plastic type. All thats required is a clean digital image of the desired logo. www.tdi-imaging.com they do not show the mud flaps on the site but if you get in touch they will give you all the details. With the CAN & USA $ at basically par might be a good deal. I'll look into it...shipping might be a deal breaker though. I still have a few other leads also, but I haven't forgotten about this project! The only problem with the digatal image prints is that the sun fades them farly fast. (1 year) atleast with the ones friends have recently bought. I found a company that would reproduce the logo with green,red,brown and dark brown but the set up cost were high with all the colors. He had also said that they could make digatal image prints but they fade quickly. Prefer black, antisail, and antispray (whiskers). if so, where can someone get a pair of those mud flaps?